Being a restaurant manager isn’t for the faint of heart. With education, experience and our guide to restaurant management, you can succeed. Restaurant managers have their work cut out for them. Whether the manager is the restaurant owner or a hired manager, many of the duties and challenges are the same. Luckily, there is help. If you are working in a franchise, a formal training program is likely available. If not, with experience and self-education, you can turn yourself into a skilled manager. To become a great general manager, start with yourself. You have to develop your communication skills, learn the details of every job in your restaurant, master the technologies required to manage your books, and find ways to keep your customers happy. You’ll have to lead your team members by example and foster their trust in you. You’ll need to continually evolve and develop your management skills. Most importantly, you’ll need to keep your restaurant solvent. Next, you need capable managers you can trust. Your managers (with your approval) need to hire and manage great teams. You need to fully support your crew members and provide them with everything they need to do their job well. Then you must provide excellent menus and high-quality food for customers. And, of course, you need happy, satisfied customers. All of this must be accomplished while maintaining profitability. It may sound simple, but you know it is not. But it’s possible. According to Statista, there are nearly 750,000 restaurants in the U.S. Further, the average American adult dines at a restaurant twice per week, and in 2015, restaurant sales topped $800 billion. These numbers are expected to increase, but they clearly indicate there is an opportunity for success within the restaurant industry. You may be asking yourself if you have what it takes to successfully manage a restaurant. And frankly, if you don’t, you’ll fail. Managing a busy, successful restaurant is no easy task. You’ll work long hours with few, if any, vacations. You’ll manage disgruntled employees and complex, ever-changing inventory in addition to pleasing increasingly fickle customers, who, by the way, are posting images and reviews (sometimes negative) online about your restaurant. However, whatever your current level of experience is, if you have the passion and drive, you can reach your goals. About this guide: We certainly cannot cover everything in this guide. (If we did, it would be a book.) However, this guide covers the general expectations required of a general manager, what technologies can help you run a restaurant, whom you might consult for advice and some general tips for improving your restaurant. We have other articles available to help you more extensively with specific topics. Managing a restaurant entails many tasks, including managing financials, vendors, food inventory, employees, marketing, reputation, licensing and inspections, and anything else that comes along. Restaurant general managers typically work more than 12 hours per day. Adding better technology and automated systems can save managers two hours per day, which frees up time to concentrate on other necessary tasks. A manager’s top priority is profitability. Without operating capital to keep your restaurant running, you don’t have a business. If you are working with partners and investors, they’ll want to see financial statements and budgets. Your creditors and the IRS have an interest as well, so you have to manage your books well and stay in the black. You’ll see the phrase “cash flow” repeatedly. Basically it means you need to account for every penny that comes in and out of your restaurant. You’ll also need to stay on top of cash flow to maintain the day-to-day costs of running a restaurant, which involves wise inventory purchases, optimal employee schedules, careful budgeting, strategic menus and steady customers. Reduce portion sizes if you are seeing more than 10 percent left on patron plates or going out the door in doggie bags. See if your accountant can identify areas where you could save money. Your accountant may see something you are overlooking. Target your food costs to be 30 percent or less of your total expenses. Work with your head chef to accomplish this. Take the time to ensure your point-of-sale (POS) systems sync with your accounting software for accurate reporting. Advanced reporting can identify further areas of cost cutting. Compare sales reports with employee schedules to create optimal staff schedules that are not overstaffed or understaffed. Use food monitors to assess the performance of your refrigerator and freezer equipment so you can handle a failure as soon as possible and avoid a loss of food inventory. Rent equipment. Some managers find they save money in the short term by renting equipment rather than purchasing expensive kitchen equipment outright. Leave some flexibility in your budget to take advantage of opportunities. Opportunities include good deals on seasonal food, event or catering gigs, and local community events. Simplify. Some restaurants save by carrying a limited variety of items to replace, such as glasses, plate sizes and table linens. It’s much easier and cheaper to maintain four glass types than eight. Take advantage of free marketing opportunities, such as social media, local press opportunities, online review sites, local food booths and volunteer opportunities. Provide a simple menu. There is no need to overwhelm customers with too many menu choices or to maintain a large, complex inventory, which only increases required storage space and the risk of spoilage. Feed your employees. Better to feed staff a controlled menu than to experience uncontrolled loss through shrinkage. Install security cameras. This reduces costly employee and patron theft, harassment, and performance issues. Go green. Look for ways you can use long-lasting LED bulbs, control unnecessary water loss, recycle, take advantage of natural light, monitor unnecessary equipment use and install automatic lighting controls to control energy costs. Monitor POS records to spot potential issues, such as employees undercharging, suspicious voids or other errors. Use liquor control devices to monitor sales and inventory. Install cameras over the bar to limit overpouring and other problems. After profitability, managing staff is likely your second biggest challenge. Restaurants are complex, dynamic team environments where every staff member is critical to the restaurant’s success. Dealing with tempers, emotions, scheduling conflicts, fluctuating busy times, egos and more make managing a restaurant truly challenging. Needless to say, you’ll need to work on your people and communication skills to succeed. Creating a great restaurant team starts with you as a compassionate, hardworking leader. For new hires, you need to provide clear job descriptions as well as thorough and patient training. For current employees, you need to provide ongoing communication and advancement opportunities and regularly express your appreciation. And even after all of that, you’ll still deal with unhappy employees and staff turnover. Like your staff, you too will need to continually develop your skills. You’ll need to advance the technologies used in the restaurant to increase accuracy and efficiency. You’ll need to provide a safe and compliant work environment and adhere to legal hiring and firing practices. Despite your 12-to-15-hour workdays, you’ll need to carve out time to advance your skills and consult with other professionals about how to best handle staff issues. Considerations: You want your staff to feel supported and respected, but you do not need to be their buddy. You need to be consistent, maintain your cool and learn to delegate. Learn local and federal employment laws to ensure that you do not violate hiring or firing practices. If you are unsure how to handle a situation, consult with your legal counsel before taking action. Hire good managers, provide them with clear expectations, and trust them to do their job. Avoid micromanaging team members, but also maintain proper oversight. Support creativity. While you may have dedicated processes in place or items that will always be on the menu, be receptive to employee suggestions. Minimize staff stress levels if possible. Make sure employees’ basic needs are met, and provide a way for them to communicate concerns. Don’t create an us-vs.-them mentality. Managers usually lose in that situation. Instead, foster an “us” attitude. Observe the mood and social interaction of your staff. Interrupt personality issues before they cause problems. Allow some flexibility for work-life balance. For example, allow time for staff to attend funerals or their kids’ special events. Carefully review schedules and sales transactions often to avoid overstaffing shifts. Most employees are happier when they are busy rather than standing around wasting time. Be a role model. Show up on time, dress appropriately, step in and help out when needed, treat employees and customers well, maintain a good attitude, and express thankfulness. Use an online scheduling tool to avoid confusion. Staff can view the schedule online. You can also set the software up to send alerts to employee phones when a schedule changes. You can also use mobile apps that allow employees to swap shifts. Check an applicant’s references and involve the direct manager in the hiring decision. Clearly define each job description. Further, when speaking with applicants, don’t “sell” the job; instead, let them know exactly what their workday entails. Share wins with your staff. Read positive reviews or customer comments with staff at the end of the day or night and offer a complimentary drink to celebrate. Draw up detailed daily procedures and policies. Provide ongoing training. Employees should sign an agreement for pertinent policies, such as conduct and food safety standards. In restaurants, most theft is from employees. Find ways of carefully tracking inventory and monitoring employees to pinpoint potential areas of shrinkage or even accidental loss. Provide avenues for advancement. Most employees are not content to stay in the same role indefinitely, and many will leave your restaurant for better opportunities. Implement ways to promote and keep training your best staff members so you don’t lose them. Update your technology and equipment as best you can to support staff efficiency and lower stress levels. New technology can also provide you with better reporting and more accurate orders. Use your security recordings not just for spotting employee misconduct, but to reward them when they do something right. Employees will know you watch the tapes regularly, and not just because you don’t trust them. Meet with managers daily to discuss issues and the day ahead. Empower them to do their job to the best of their abilities. Keeps lines of communication open. Meet with managers weekly to cover food costs, safety issues, staff challenges, upcoming events and financial goals. Listen and implement their input, if logical. 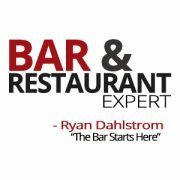 Discuss with them how they can help with restaurant goals. Approximately 30 percent of operating costs go to food. It’s what draws customers to your establishment. Therefore, it’s extremely important that you create enticing menus that are profitable for you and affordable for your patrons. Whether you’re opening a new restaurant or creating a new menu, you’ll want to do market research to determine what kind of menu and pricing works well for your area. Carefully work with your chef(s) to create simple yet appealing menus. You’ll also need to research food sources and purveyors for the best-quality products at reasonable prices. If you are not running a franchise, you have a lot of choices for food sources and menu items. Some eating establishments purchase from other small business owners such as bread makers, pastry shops and specialty food shops. You may also find local gardeners and ranchers you want to buy from for quality, locally sourced produce, organic meats, etc. Since controlling food cost is critical to your restaurant’s success, it is an area worth investing in. You’ll benefit greatly from capable POS systems and inventory control systems. While you can still track inventory as well as sales using spreadsheets and handwritten notes, you don’t have to do that anymore. You’ll have more accurate results and usable reports by updating to a modern food-tracking system. Test menu items with a variety of people. Invite your best customers in for a free menu-testing event. Never print a menu without having it professionally edited first. Patrons will notice obvious spelling and grammatical errors. A good editor will also help you with style and tone issues. You may benefit from using a kitchen scale for accurate pricing and portion control. This is especially important for proteins. Work with your head chef to identify ways to repurpose ingredients or menu items. If it makes sense for your restaurant, hire a professional photographer to capture images of your menu items for your social media, printed menus and digital displays. Include a few special diet items for patrons. Customers expect some vegan and gluten-free options. Inspect every food purveyor delivery for quality and quantity. Also ensure that the invoice amounts are correct. Feature your most current menu on your website, and add online ordering if that makes sense for your business model. Work closely with your chef and kitchen staff when creating a new menu. Consider food preparation processes, the storage life of certain food items, portion sizes, the profitability of menu items, aesthetic presentation and more. Further, identify seasonal food offerings, opportunities to minimize waste and the projected quantity of food items served. Educate servers at the start of their shifts about specials and menu items to push. Wait staff should also know where food is sourced and about special diet menu options such as gluten-free and vegan items. Compromise. Every now and then, you may benefit from allowing the chef to try out a new menu item, perhaps in exchange for one that you want to add. Continually tweak your ordering schedule until it’s perfect. But also be prepared to make quick alternations when change arises. Design menu items to satisfy patrons with minimal leftover food waste. Scrutinize your sales reports for your best sellers and weak sellers. Don’t be stubborn about your discoveries. You may have to give up a menu item you like that isn’t selling well. Shop around. You may be loyal to certain vendors, but you may be limiting your opportunities for better prices and more variety. Join a purchasing group. You may save money by purchasing food items in bulk with other restaurants to maximize your purchasing power. Educate yourself on safe food-handling and storage techniques, which ensures you’ll serve fresh, safe food to customers while complying with health code laws. Outsource prep work if it makes sense. Many restaurants order prepared items that are common ingredients in your entrees and time-consuming to prepare, such as chopped onions. Ask your staff what customers are asking for when creating or updating menu or drink items. 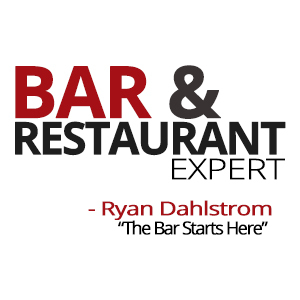 Your servers and bartenders spend the most time with your customers and can tell you what customers want. Without reasonable marketing efforts, you cannot expect to open your doors and instantly fill seats. Marketing doesn’t have to be expensive these days, but it requires daily time and effort. You’ll want to carefully craft your brand and determine the best ways of communicating with customers for the best results. It may be worth the investment to hire a marketing company to help you create your brand and assist with creating a marketing plan that you can easily and affordably maintain. You also need to conquer online marketing and social media. Even if you do not put weight into online customer reviews, your customers do. If negative reviews or comments upset you, you have to learn how to graciously respond. Many managers or restaurant owners make the mistake of delegating social media tasks; however, as the restaurant owner or manager, it’s best if you do it yourself to protect your brand. Restaurants rely on the local community for patronage and support. Your marketing efforts should be focused on becoming an integral part of your local community. Again, you’ll need to use your people skills, and you’ll want to carefully think about how you can help your restaurant succeed while also benefiting your community. Considerations: Smart marketing carefully monitors the cost of obtaining and retaining customers. Minimal marketing efforts are necessary, and you’ll need to carefully monitor your restaurant’s reputation. Identify ways where you can harness word-of-mouth advertising, city and county support, and press coverage. Create a website. Make it look professional and ensure that it is set up so you can easily make changes yourself. Also create a Google My Business profile so you can easily be located with Google Search and Maps. Establish – at a minimum – Facebook, Twitter and Instagram social media accounts. Monitor and post updates regularly. Spend 30 minutes daily managing your social media and online reputation. Limit purchases of printed marketing or advertising materials. Printed items become dated quickly and often end up in the garbage. Experts recommend spending only 20 percent of your marketing budget on traditional advertising methods and 80 percent on online methods. Include your social media accounts and preferred hashtags in advertising, social media and printed items. Encourage customers to take photos of your food and restaurant and to use the associated hashtags. Engage with customers. Online reviews, such as those posted to Yelp or TripAdvisor, are here to stay, and you have little control over it. But you can control how you react: Thank customers who post positive reviews and respond professionally to negative comments. Identify any free listings available in local directories or travel guides where you can advertise your business. Create a media kit and have one available at all times should someone ask for it. It should include information about the restaurant, service hours, social media profiles and quality images. Inform nearby hotels about your restaurant so they can share this information with guests. Often, you can work out a mutually beneficial arrangement for referrals. Get out and about. Your restaurant may benefit from local exposure at community events. Sponsor a local charity or sports team. Invest in a good camera and use it regularly to post images to your social media profiles. Learn to use proper hashtags and write clever and compelling posts your customers will share with their friends and followers. Some restaurants benefit from creating a mobile app to track loyalty programs, to inform guests of specials, etc. Your POS company may offer tools to help you create a mobile app. Invest in a digital display that will advertise specials and events both to your patrons as well as those walking by your storefront. Consider advertising niche market menu items such as vegan, vegetarian, low-carb, gluten-free and organic dishes. Consumers with dietary needs and preferences actively seek out the restaurants that will serve them the food that meets their dietary needs. Host an event. Your restaurant may benefit from hosting events such as wine tastings, cooking classes and corporate events. Being a successful restaurant manager takes passion and self-motivation. Working endless hours and facing new challenges every day make it a job not suited for everyone, but individuals who enjoy an ever-changing and fast-paced environment may be ignited by the challenge. There is a lot to learn about restaurant management, and even then, when you think you have everything under control, you realize you don’t. There is always room for growth and improvement, which makes it a perfect profession for energetic and ambitious types with a talent for numbers.